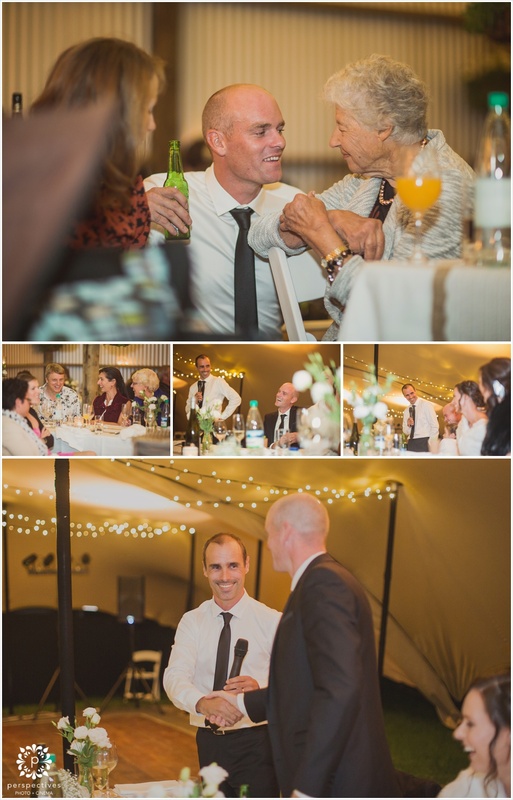 You’ve heard the term ‘DIY wedding’ thrown around before… we’ve photographed and filmed many weddings with various elements that the bride & groom / their families undertook themselves. 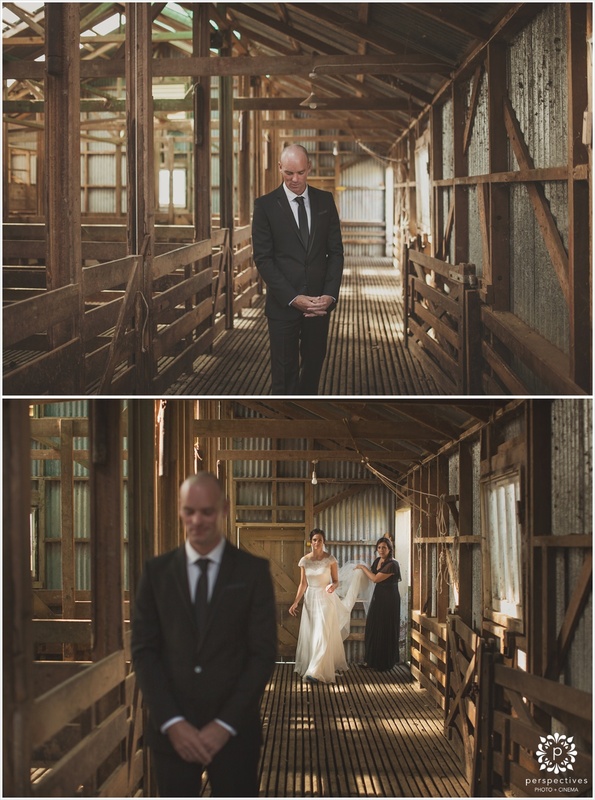 But this surely takes it to another level. 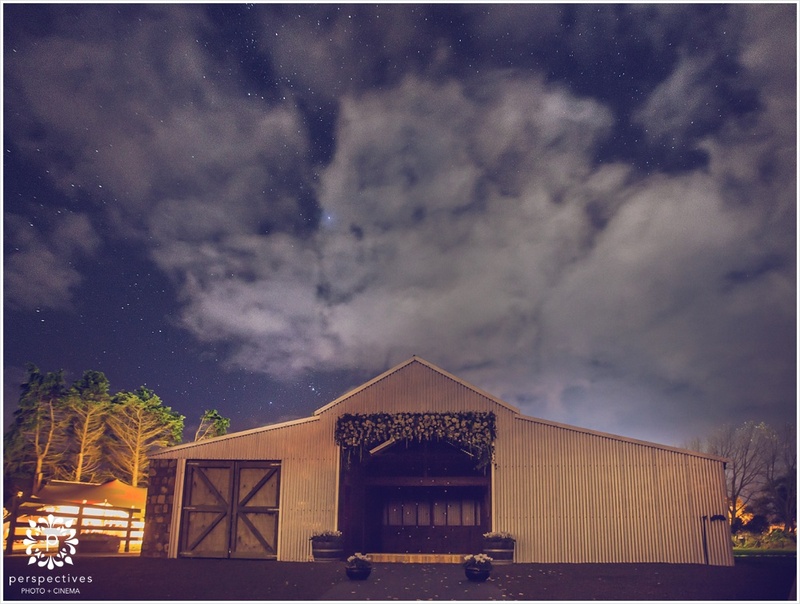 First – Grant built the barn that the wedding took place in. 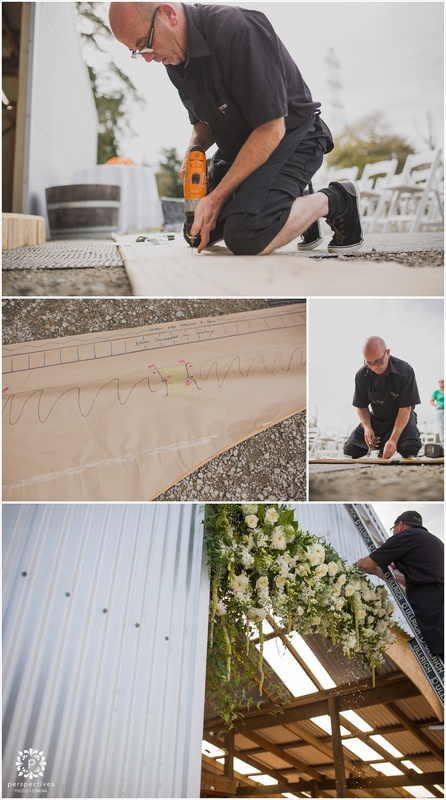 (it wasn’t built FOR the wedding, but it sure functioned well for that purpose!). 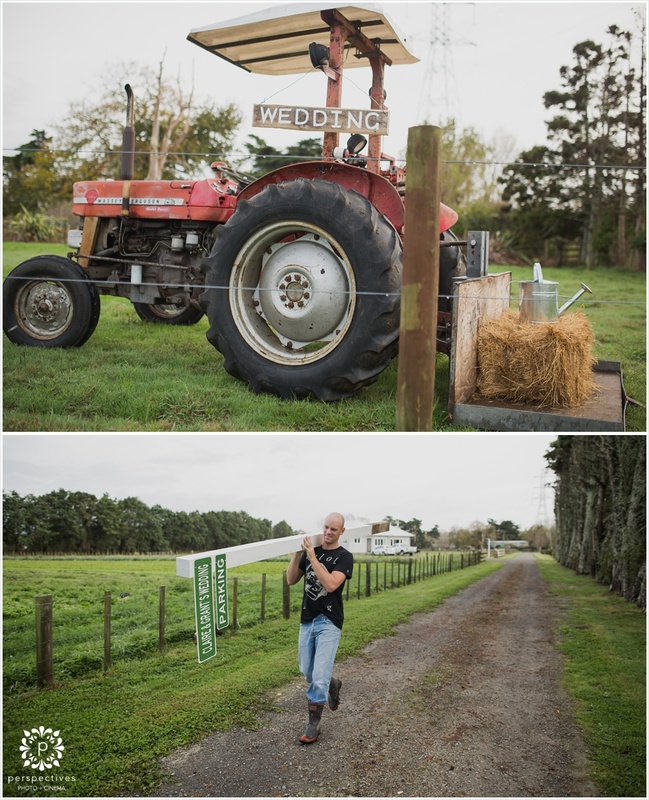 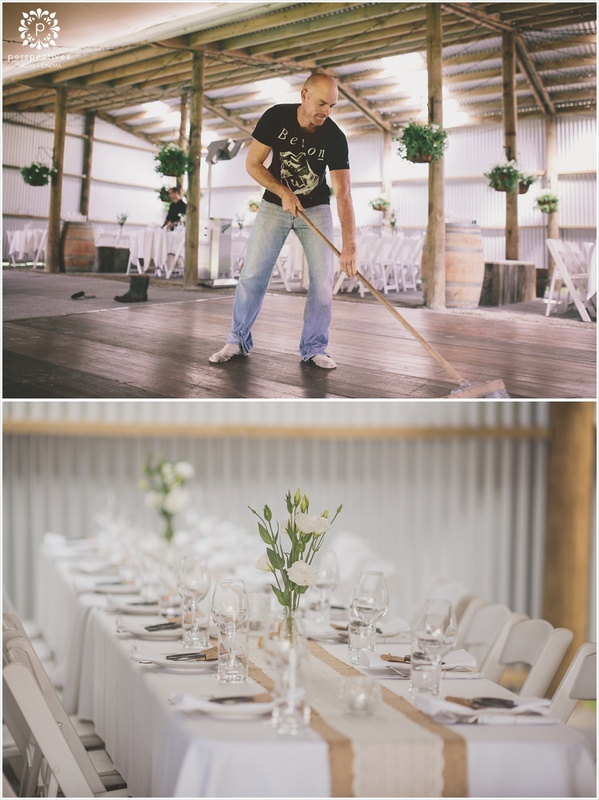 Also, he built the tractor shed, which was decorated up for their reception. 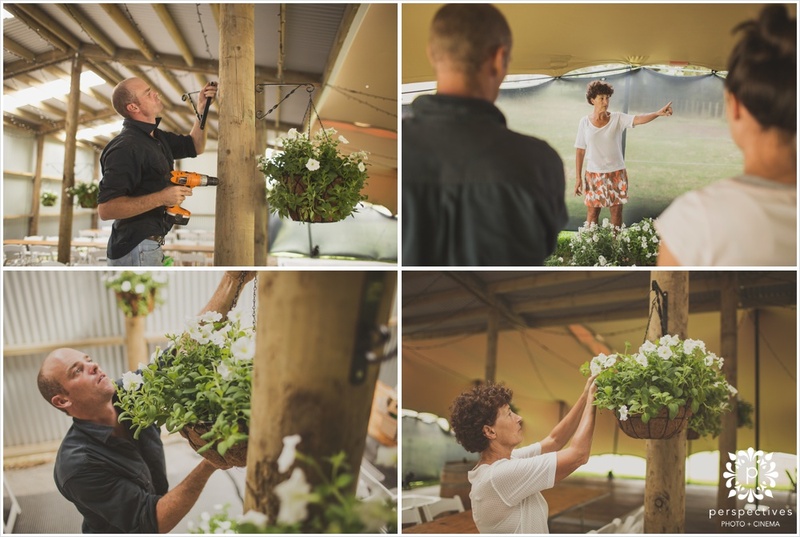 Grant’s Mum spent the best part of a year cultivating hanging baskets filled with flowers – which looked amazing hung up around the reception shed. 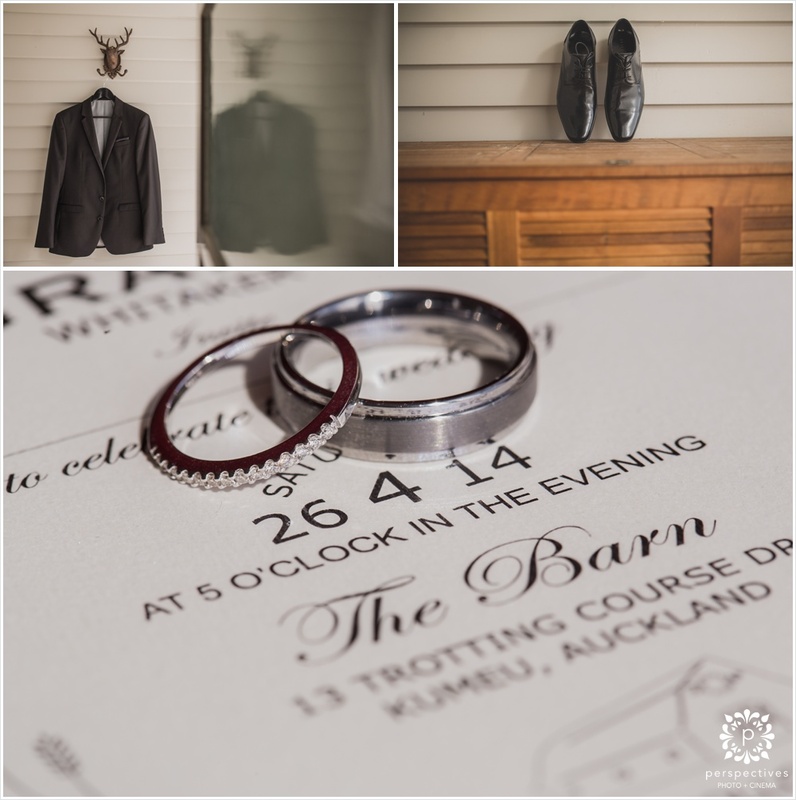 When Claire & Grant told us how much work was going into their preparations – we knew that just turning up & shooting on the wedding day wasn’t going to cut it. 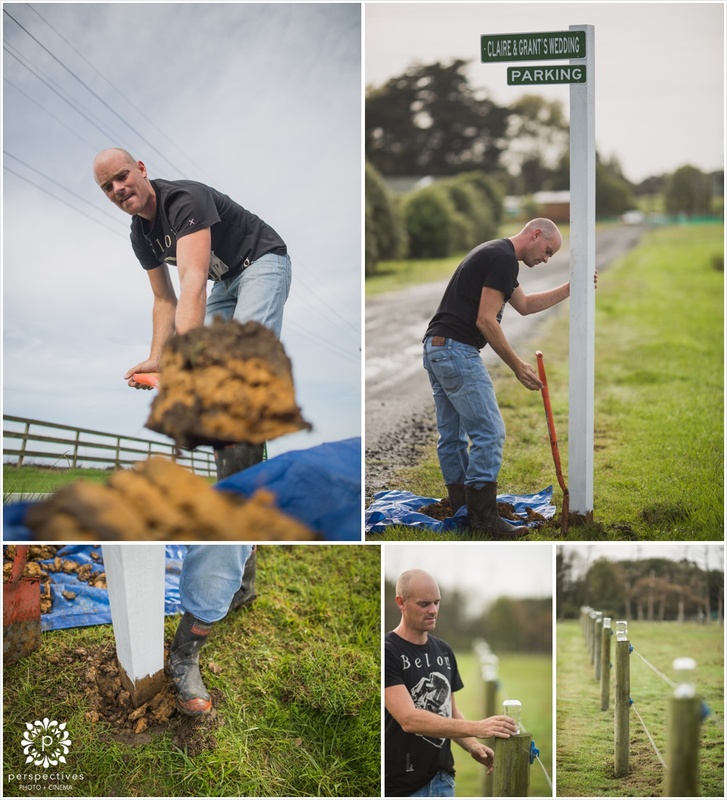 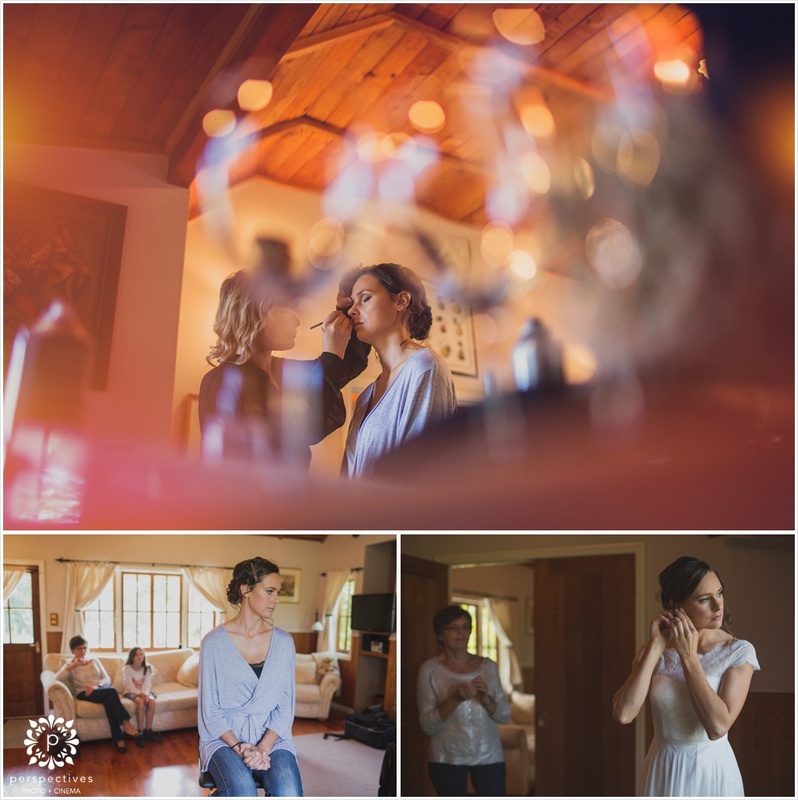 So we headed along on the Thursday for some setup shots… and again on the Friday for more photos of people pulling together & getting everything just right. 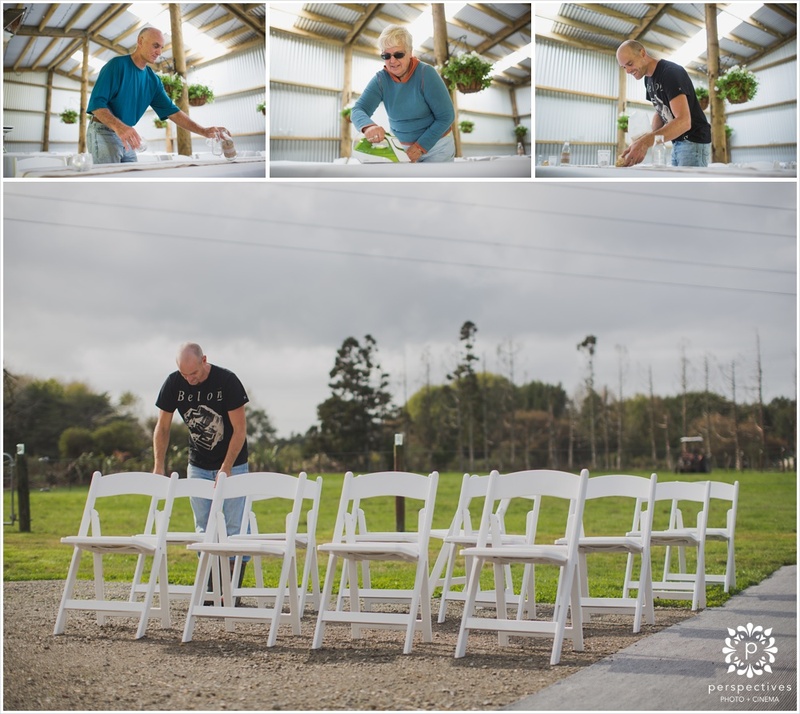 Then – on Saturday morning, we were there just after 8am to capture the finishing touches – tables being set up & decorated, signs being put up – we were there for it all. 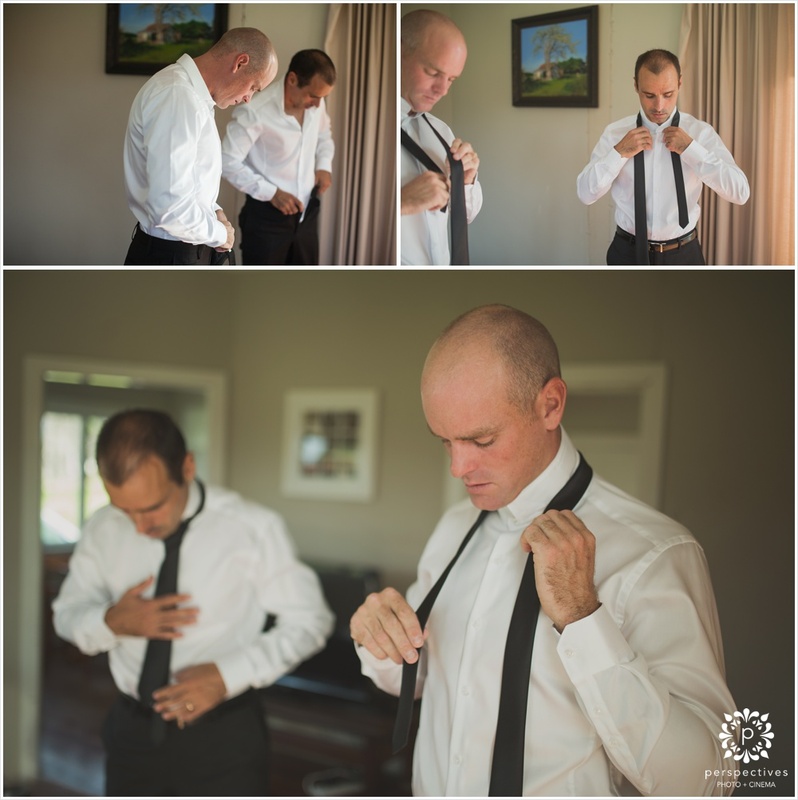 Because the ceremony was taking place right on sunset, we did a ‘first look’ and the photos beforehand… so they didn’t need to ditch their guests after the wedding, but also because it would soon be pitch black! 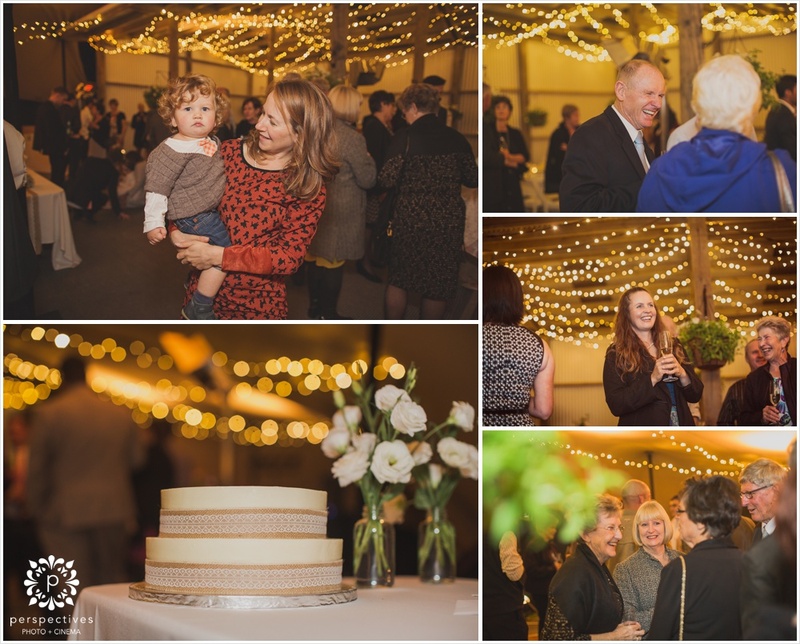 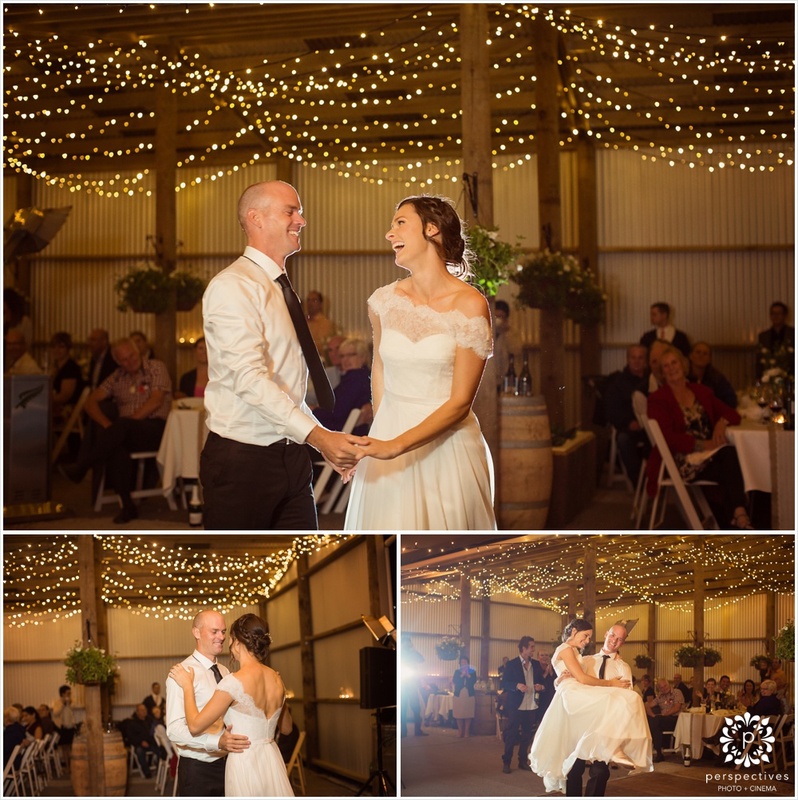 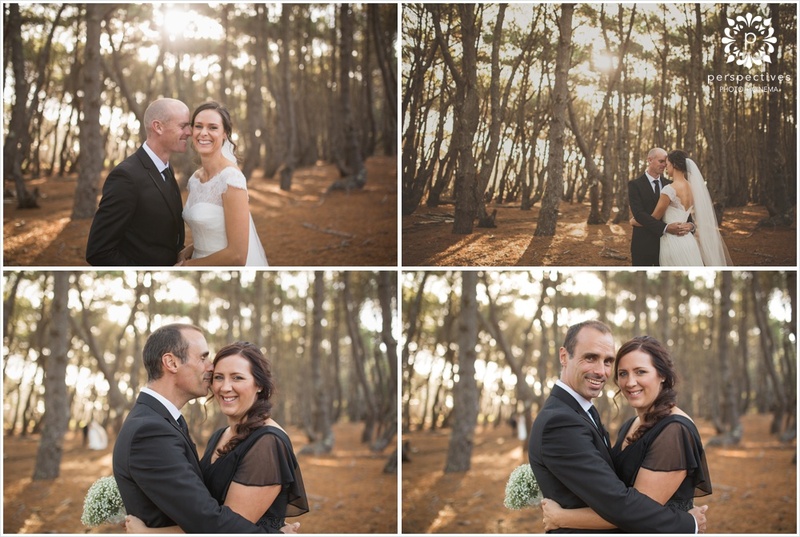 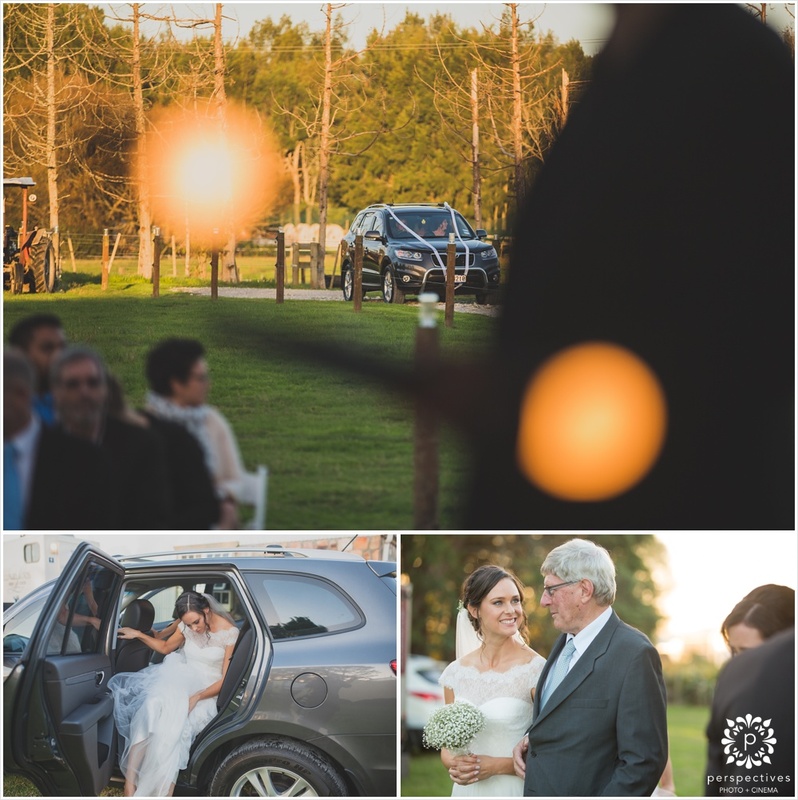 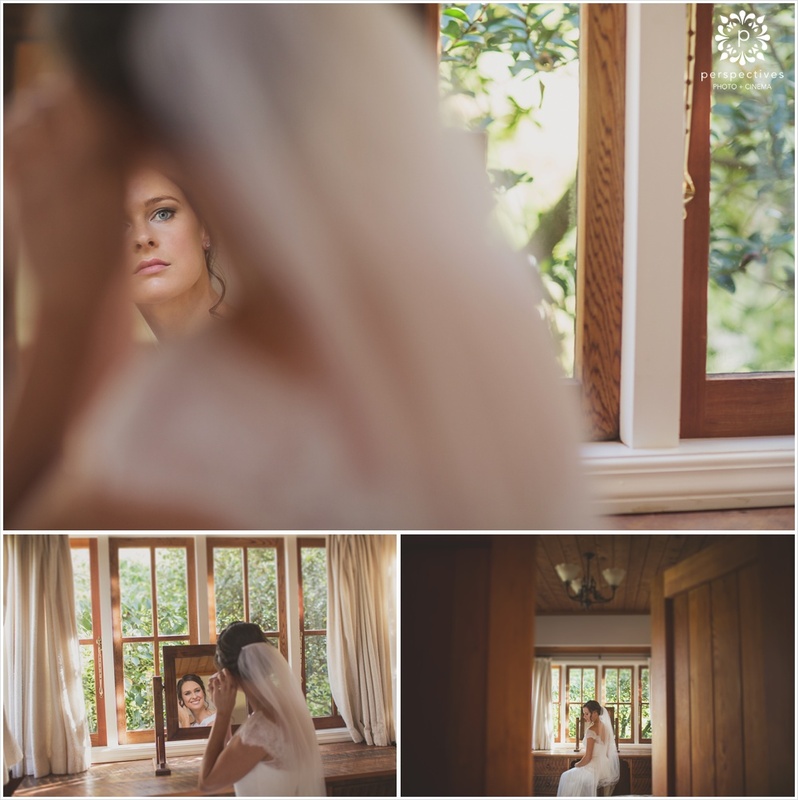 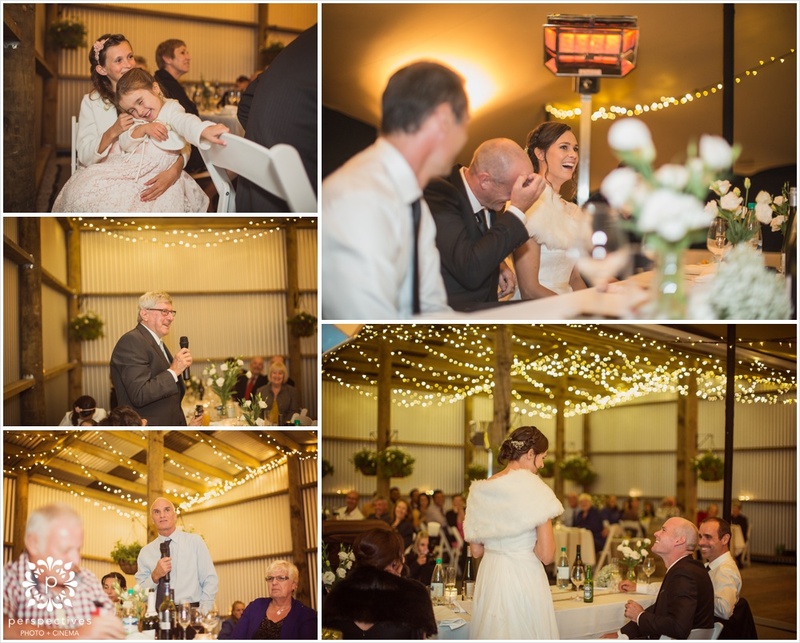 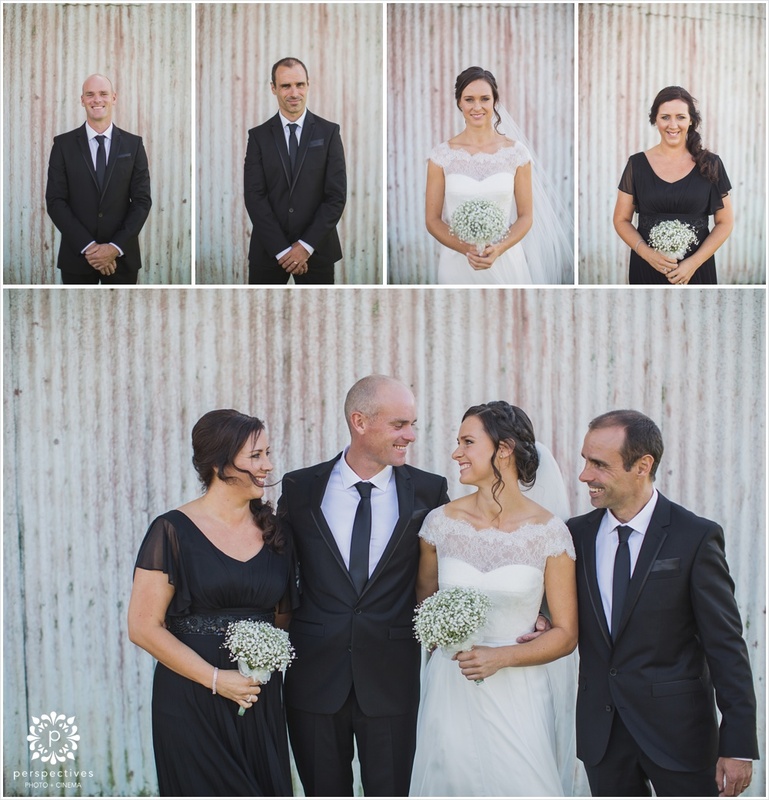 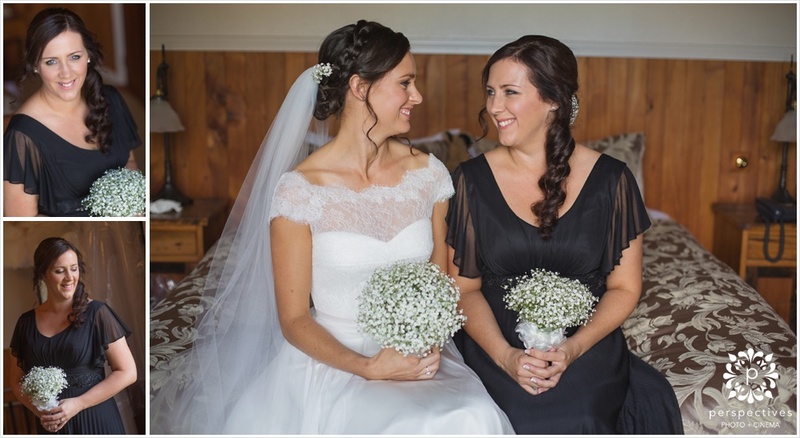 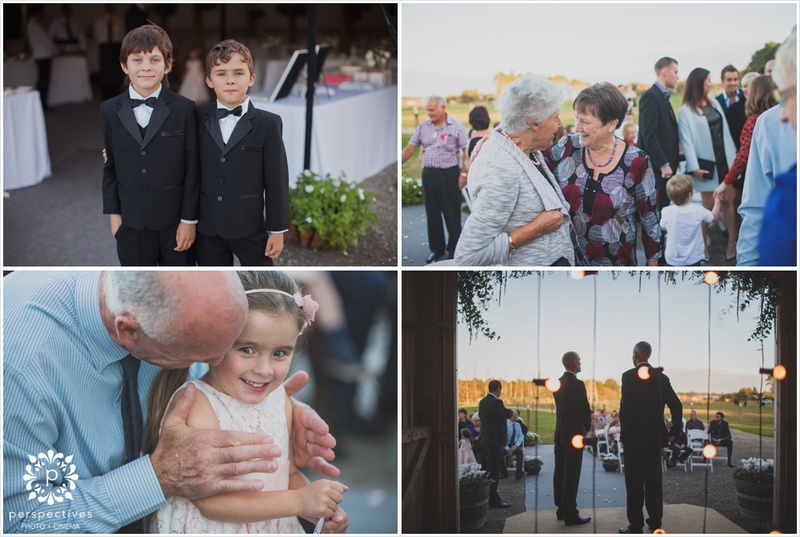 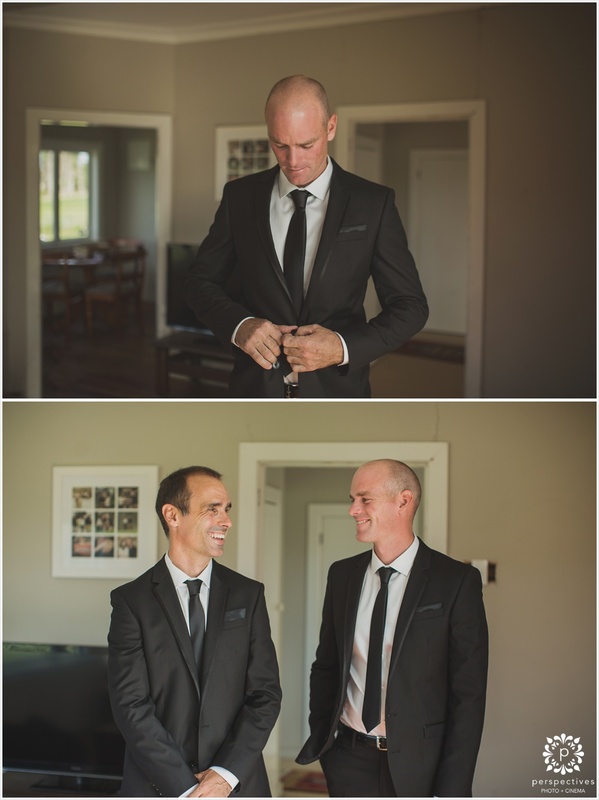 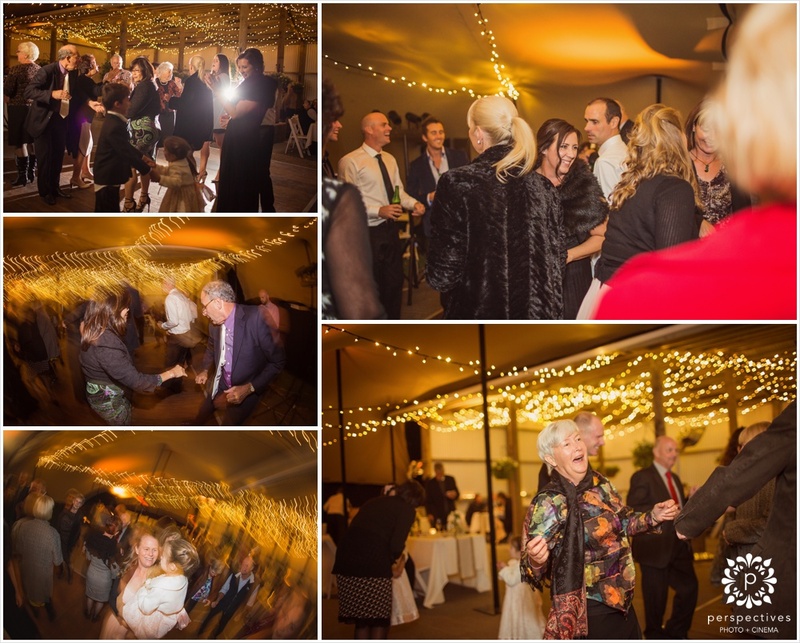 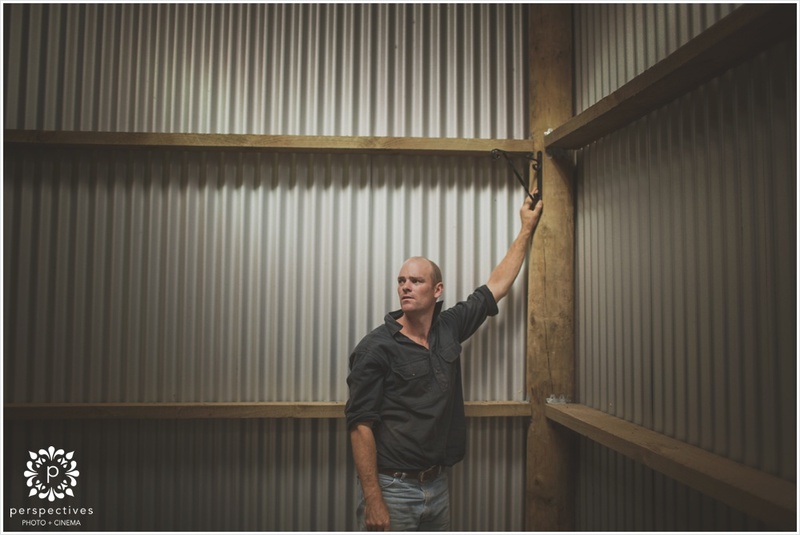 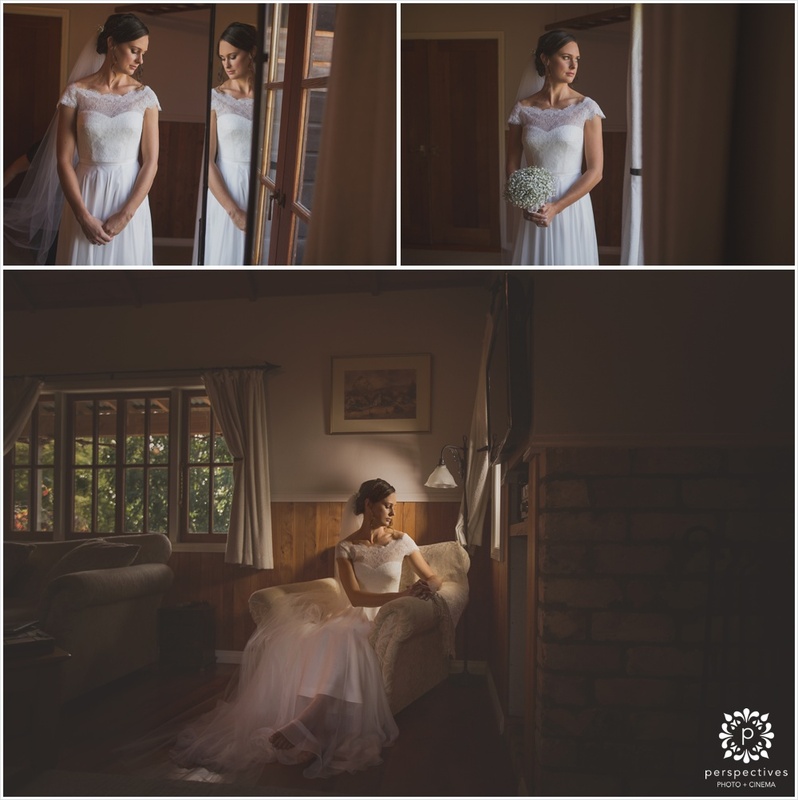 This first look took place in an awesome woolshed – with perfect patches of light streaming in from the windows & roof. 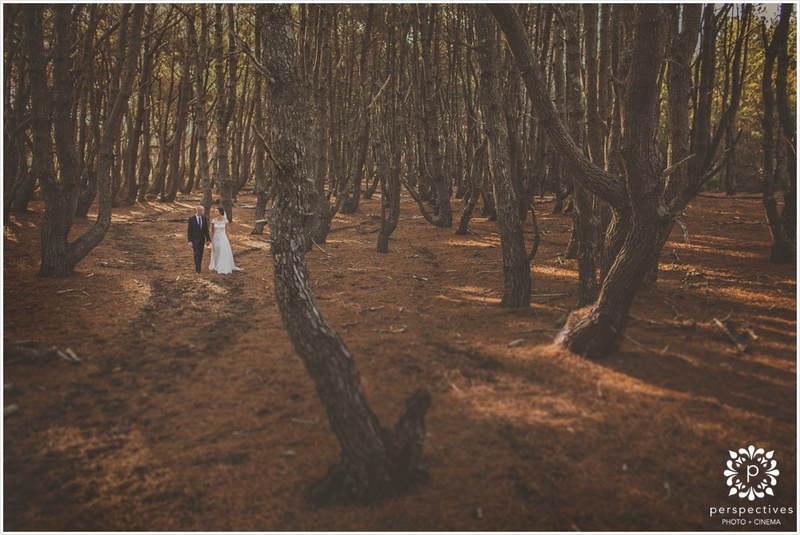 We followed up with some cool location photos nearby – fields, forests – even a waterfall! 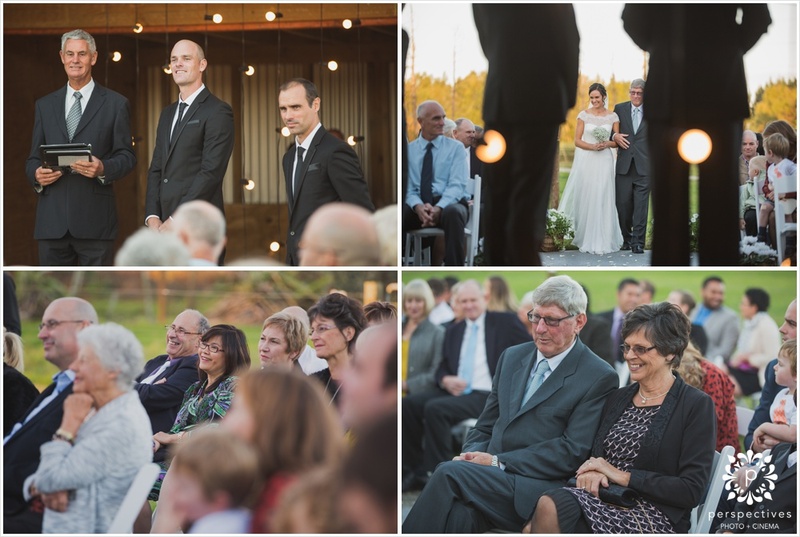 The ceremony was conducted by a family friend – and was perfect. 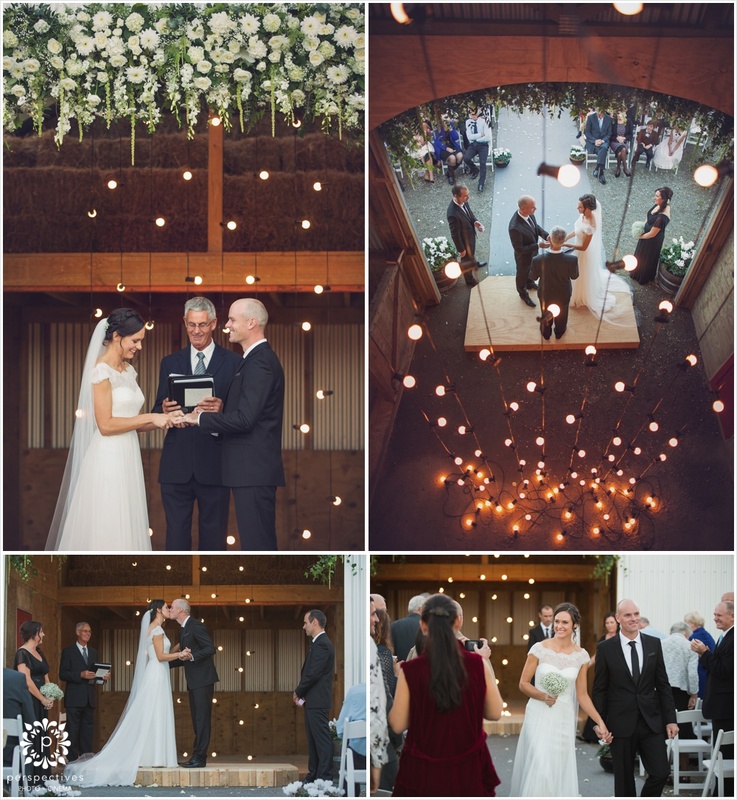 The sun dipped behind the trees & the festoon light backdrop gleamed brightly. 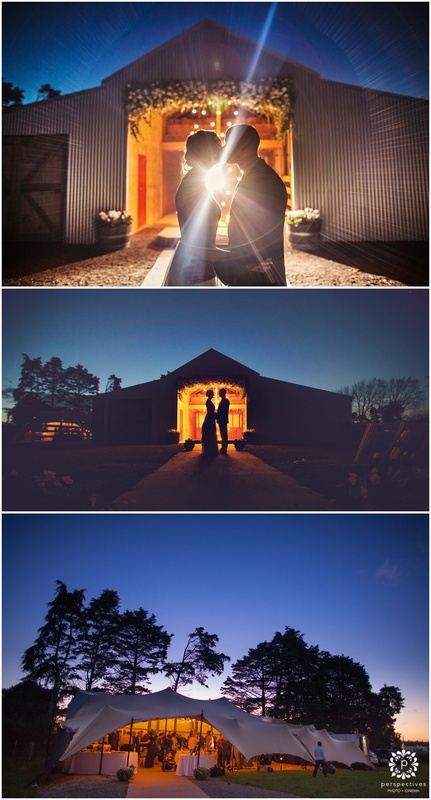 Afterwards, we raced the quickly approaching darkness & got through the family & group photos with the last remaining slivers of daylight – and even scored some awesome twilight / night photos. 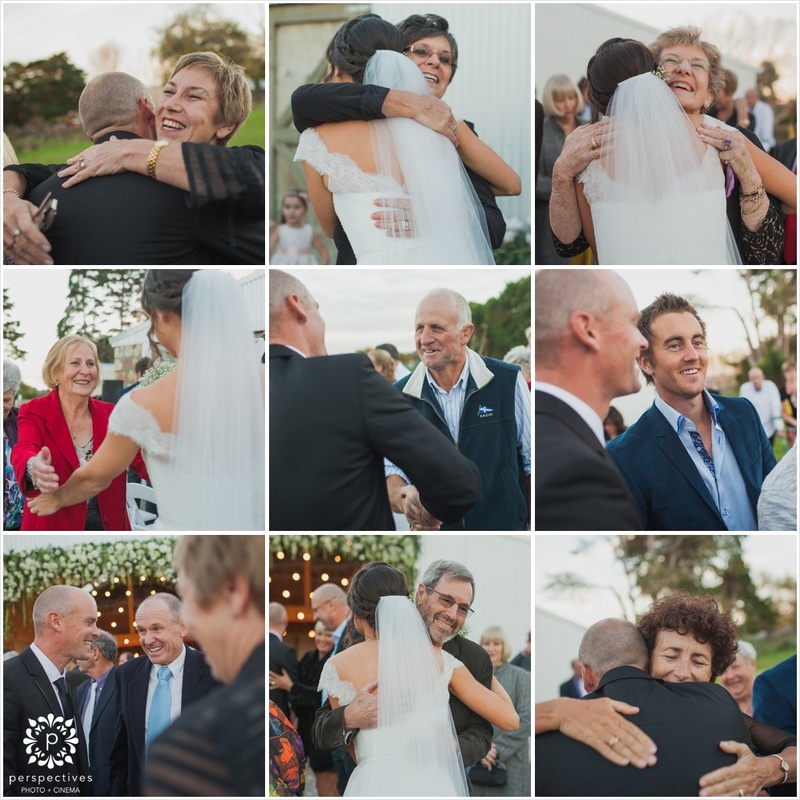 Make sure you hit the ‘keep reading this post’ link to see all the photos! 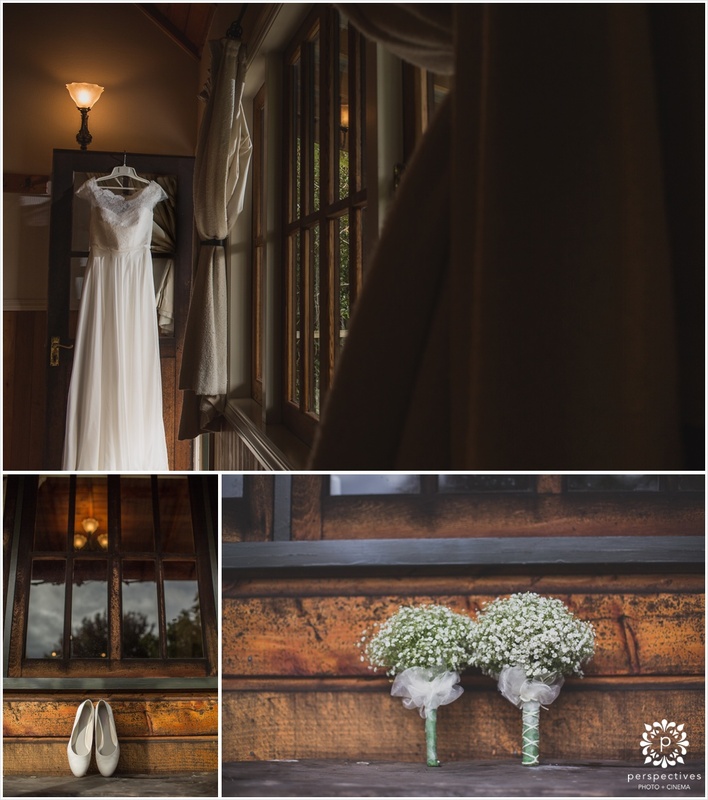 Also, make sure you head over and ‘like’ Perspectives Photo + Cinema on Facebook – where you can stay updated with all our latest creations. 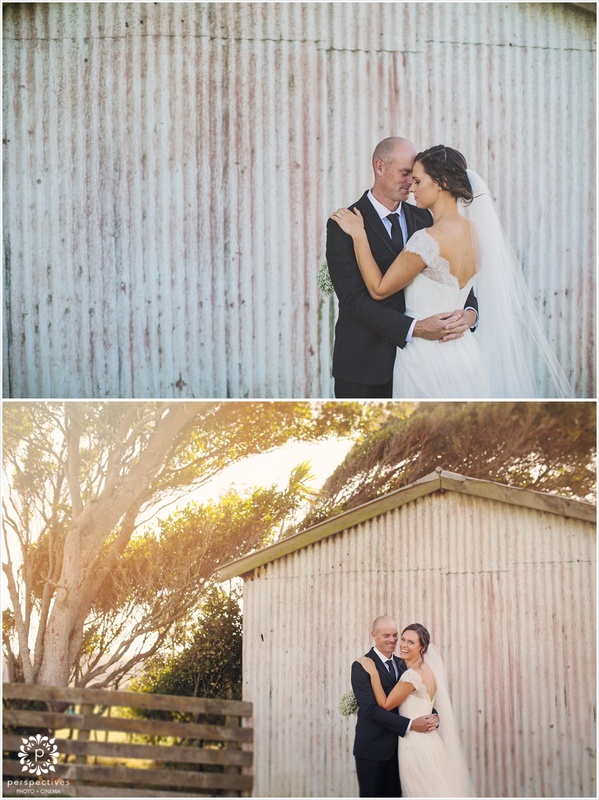 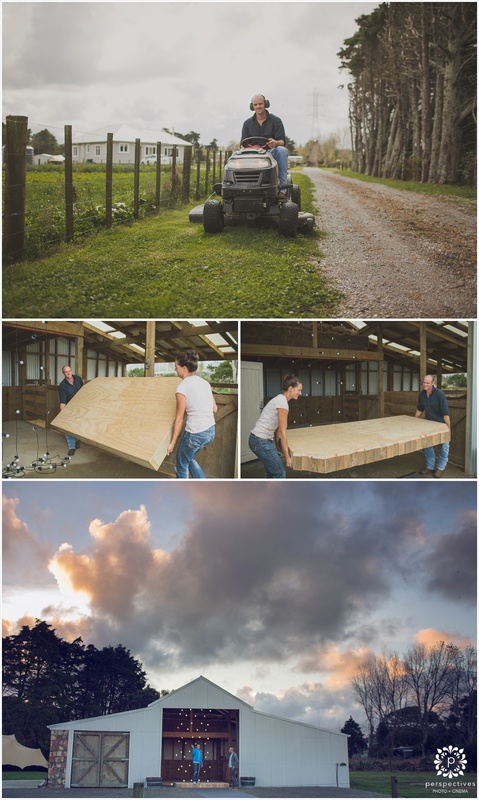 And – if you’re looking for more DIY / rustic / barn wedding inspiration – click here.